Wauwatosa resident Molly Hess has been named a Rising Star for Musical MainStage, our professional concert series at Sunset Playhouse. 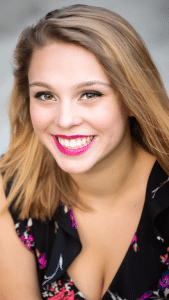 The daughter of Joel and Kelly Hess, Molly is a senior at Wauwatosa West High School, where she has appeared in ten shows with the Trojan Players and is a member of the National Honor Society. Previously, she has appeared at Sunset Playhouse in Gypsy, How to Succeed., and Thoroughly Modern Millie. Molly will join Tommy Hahn, Alison Mary Forbes, Joshua Krause, Sara Hubertz, and a host of musicians in a tribute to the music, news, and pop culture of an entire decade in Time Capsule: the Seventies. Performances are on Monday and Tuesday, February 1st and 2nd. For more information about the production or tickets, you can visit sunsetplayhouse.com or call the box office at 262-782-4430.